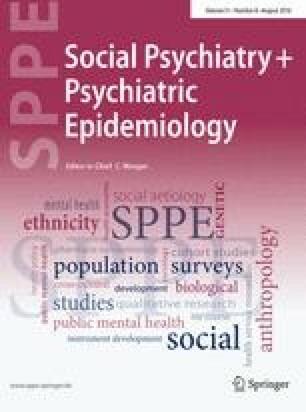 To present current, nationally representative US findings on the past-year and lifetime prevalences, sociodemographic correlates, psychiatric comorbidity, associated disability, and treatment of DSM-5 posttraumatic stress disorder (PTSD). Face-to-face interviews with 36,309 adults in the 2012–2013 National Epidemiologic Survey on Alcohol and Related Conditions-III. PTSD, alcohol and drug use disorders, and selected mood, anxiety, and personality disorders were assessed using the Alcohol Use Disorder and Associated Disabilities Interview Schedule-5. Past-year and lifetime prevalences were 4.7 and 6.1 %, higher for female, white, Native American, younger, and previously married respondents, those with <high school education and lower incomes, and rural residents. PTSD was significantly associated with a broad range of substance use, mood, anxiety, and personality disorders, and past-month disability. Among respondents with lifetime PTSD, 59.4 % sought treatment; an average of 4.5 years elapsed from disorder onset to first treatment. DSM-5 PTSD is prevalent, highly comorbid, disabling, and associated with delayed help seeking. Additional research is needed to elucidate relationships identified herein, estimate PTSD-related costs, investigate hypotheses regarding etiology, course, and treatment, and support decisions about resource allocation to service delivery and research. Initiatives are needed to destigmatize PTSD, educate the public about its treatment, and encourage affected individuals to seek help. The online version of this article (doi: 10.1007/s00127-016-1208-5) contains supplementary material, which is available to authorized users. The National Epidemiologic Survey on Alcohol and Related Conditions-III (NESARC-III) is funded by the National Institute on Alcohol Abuse and Alcoholism (NIAAA) with supplemental support from the National Institute on Drug Abuse. This research was supported in part by the Intramural Program of the National Institutes of Health, NIAAA. All authors are employees of the National Institutes of Health. The institutional review boards of the National Institutes of Health and Westat, Inc., have reviewed the research protocol and provided full ethical approval. Therefore, all procedures performed in this study were in accordance with the ethical standards laid down in the 1964 declaration of Helsinki and its later amendments. The views and opinions expressed in this report are those of the authors and should not be construed to represent the views of sponsoring organizations, agencies, or the US government.